Boats navigate around kayakers in Mission Bay. July 28, 2016. Megan Wood, inewsource. San Diego County waterways are safer today than they were a decade ago. According to data from California’s Division of Boating and Waterways, recreational boating accidents in the county declined significantly from 2005 to 2015. Accidents reported annually in the ocean and in area bays, lakes and reservoirs fell by more than a third over that time period. The decline could be at least partly explained by the drop in the number of registered boats. But state and local officials say today’s safer waterways are more likely the result of better boating education and stronger enforcement. Last year, 55 boating accidents were reported in San Diego County — down from 87 a decade earlier. Over the entire 10-year period, data show 742 boating accidents were reported in the county, resulting in 469 injuries and 27 deaths. Those accidents caused nearly $7.5 million in property damage, according to the data. The most common accident involved boats colliding with other vessels. Other common accidents included capsizings, flooding and boats running aground. While boating accident totals in the county are much lower now than they were a decade ago, a slight uptick has occurred since 2012, the year when the fewest number of accidents was reported. Jim Dreher, a bay control officer for the San Diego Harbor Police, said it’s important to remember that the data show only reported accidents. He said it’s estimated that nearly 20 percent of nonfatal accidents go unreported to authorities. San Diego County’s 10-year decline in boating accidents closely resembles the trend statewide. There were 800 accidents reported across California in 2005. A decade later, the total had dropped by about a third. 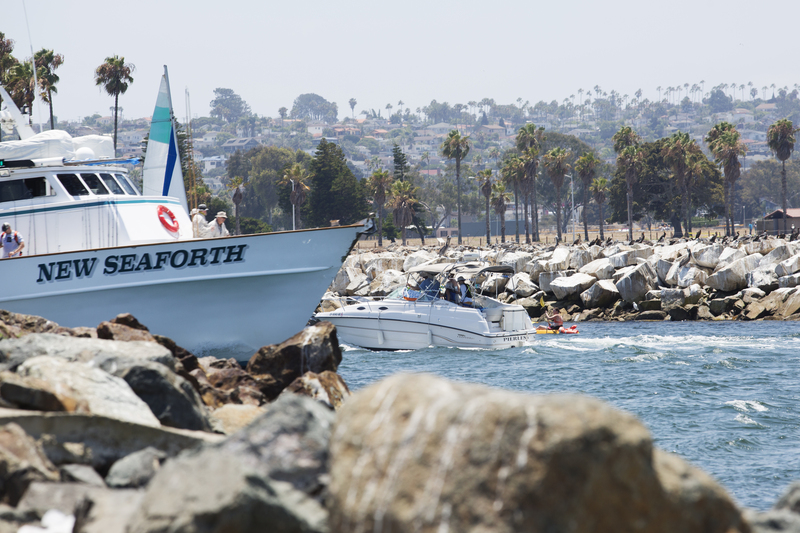 Lynn Sadler, deputy director of the Division of Boating and Waterways at the California Department of Parks and Recreation, said it’s hard to know for sure why recreational boating accidents have decreased. She acknowledged that a decline in the number of registered boats could partially explain the trend. In 2008, the county was home to more than 61,500 registered boats. (County-level data for previous years is not available.) That number fell to less than 57,000 in 2015. Sadler, however, likes to think that safety outreach campaigns have made a difference.